Cornell offers a wide range of solids handling pumps, from 1.25″ though 30″ discharge size, to handle the most difficult solids applications. Cornell’s solids handling pumps can be found in a wide range of applications in the Municipal, Agricultural, and Industrial markets; and available in a variety of mounting configurations including close-coupled, SAE engine, horizontal, and vertical mounted. Featuring enclosed, semi-open, and delta impellers, and a variety of construction materials, Cornell solids handling pumps operate up to 40,000 GPM. 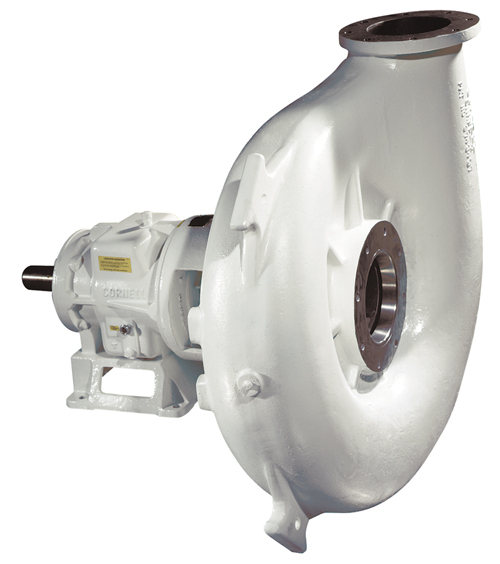 Cornell Solids handling pumps feature the Cornell designed heavy duty bearing frame. Look for the distinctive appearance of the angular, muscular frame, to know it’s a high quality Cornell pump. Cornell’s N-series solids handling pumps are available in discharge sizes from 1.25″ to 30″, and are designed to handle difficult solids handling applications. A range of mounting configurations are available, from close-coupled, SAE engine-mount, and horizontal frame-mount, to vertical and vertical coupled. 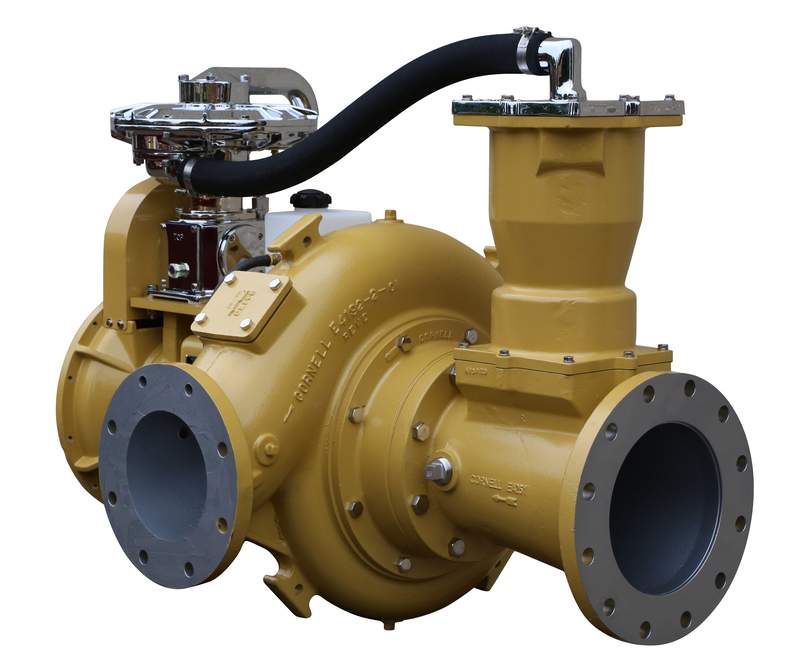 Featuring enclosed impeller (2” to 10” solids, and flows up 40,000GPM), N-series can also be fitted with a delta impeller to handle stringy materials, rags, etc. Robust and reliable, the N-series has more than 30 years of service as a waste-water handling favorite of the industry. Cornell Pump’s Duraprime® series of robust construction pumps, in 3″, 4” and 6” models, are ideal for rental and construction applications. 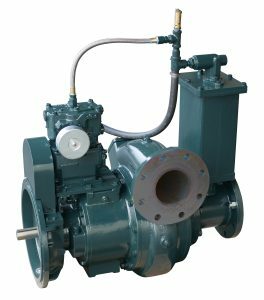 The Duraprime series feature a rebuild-able pump design, robust construction, efficient operation and competitive pricing. Series comes standard with Cornell Cycloseal® sealing system and the Venturi Prime priming system integrated. Duraprime brings Cornell quality, while offering low-operating costs, premium efficiency up to 82%, and ease in servicing and maintenance. Featuring a two-year warranty, DuraPrime® requires no seal venting or flushing. Cornell introduced the first Hydro-Transport food process pump to the industry nearly 50 years ago. Unlike Solids Handling pumps, or other types of pumps that are sometimes used in the food industry, the Cornell P and PP series pumps are designed and manufactured with the sole purpose of pumping food products. Ideal for agricultural applications such as fruit washing and packing as well as food manufacturing operations. 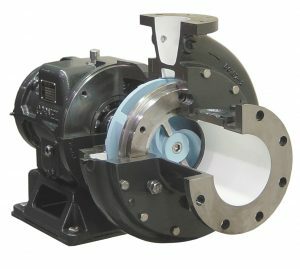 Utilizing Cornell inventions such as offset volute, Cornell Food Process pumps have the lowest product damage rates in the industry and are the pump of choice for food processors around the world. Cornell Pumps recognizable frame design incorporating mounting surfaces rather than mounting feet, lets you know it’s a quality Cornell Pump frame supporting a robust Cornell pump. The feet can be useful and space-saving in food plant mountings. Cornell’s Chopper Pump is designed to handle severe plugging. The standard casing, made of ASTM A536 grade 65-45-12 ductile iron, stands up to robust applications. Everything about the pump is built to tackle hard jobs, from the replaceable cutter bar made of T1 tool steel heat treated to a minimum of 60 Rockwell C hardness, to the heat treated cast steel impeller. The Cornell Chopper pump series is a heavy-duty performer. © 2019 Cornell Pump Company.